Following on from the previous night, there was quite a few Large Yellow Underwings which were undoubtedly re-captures, 2 lovely Large Ranunculus which were different from my first specimen of the year that I had last week, and then I found a magnificent Large Thorn. Very pleased to see this again and in such good condition, as last years one was mangled and dead. 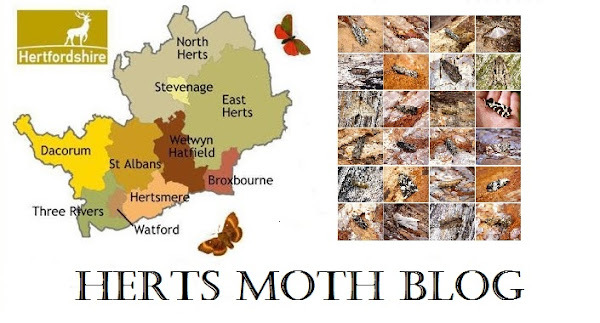 The moth is virtually non-existent in the West of the County and is regular but not common in the East. I have only listed the extras that I recorded this morning that weren't present the previous night.